The Dakar Rally, held in South America since 2009, has exerted a special fascination for motorcycle fans for more than three-and-a-half decades. The heroes of the early years, such as Belgian Gaston Rahier, “the little man with the giant reputation”, Cyril Neveu or Stéphane Peterhansel, have never been forgotten. Marc Coma also deserves his place among the greats, having dominated the Dakar for more than a decade with his fellow KTM factory rider Cyril Despres. The Spaniard’s star was in the ascendant in 2006, when the 28th Dakar Rally ran from Lisbon to Senegal through the North African desert, with the drivers crossing the finishing line at Lac Rosé in the capital Dakar on January 15. The previous year’s winner, Cyril Despres was regarded as the favorite, along with his KTM teammate Marc Coma, who had won the Cross-Country Rallies World Championship in 2005. Although Despres was able to chalk up four stage wins, with Coma not managing any, the Spaniard crossed the finishing line in second place seven times, with nine different stage winners snatching the points. Coma’s classic Enduro background was evident here – the points are only totaled after the last stage. 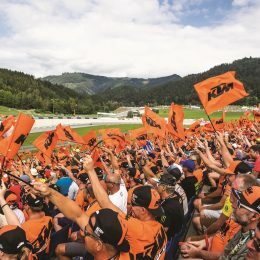 And after the fourteenth stage, Coma had pulled away to a comfortable lead of 1 hour and 13 minutes over his teammate Despres, while the Italian Enduro legend Gio Sala secured third place ahead of a further four KTM riders. With this sixth consecutive Dakar victory, Coma continued the series of KTM victories, taking over from Fabrizio Meoni, Richard Sainct, Nani Roma and Cyril Despres. Marc Coma was only eight years old when he first sat astride a motorcycle for the first time in 1984. His uncle let him go for his first cross-country spin on a Spanish Montesa Cota trial bike – and he was immediately hooked. The first motorcycle he owned a few years later was an Austrian Puch Cobra, but the lure of the open countryside was too strong. On a 125 cc Motocross bike, he worked his way up from local races to national championship heats. 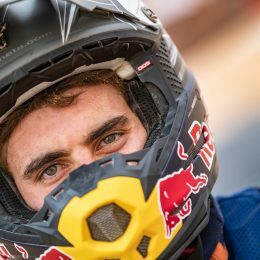 At 18, Coma switched to the Enduro racing camp. Determined to become a professional rider, in 1995 he won the Spanish Junior Championship in the over 175 cc class on a KTM GS 250. After his initial international successes, Coma was nominated for the Spanish Junior Trophy Team, where he justified the faith people had placed in him. In 1998 when the Six Days Enduro was held in Traralgon, Australia, he took the coveted Silver Vase home to Spain. But then the Spaniard succumbed to the temptation of the legendary Dakar Rally, and made the switch from Enduro racing to rallying. KTM became aware of the rookie because he was achieving good results despite inferior materials, and in 2003, included him in the Repsol Team, along with his countrymen Nani Roma and Isidre Esteve – for Coma, this was the springboard to major success. Only two years later, he won the Cross-Country Rallies World Championship and a few weeks after winning the title, on New Year’s Day 2005, he set off from Lisbon for Dakar, where on January 15, 2006 he was the first to see the checkered flag at Lac Rosé, giving KTM a sixth successive victory. At the end of the 2006 season, Coma wore the Rally World Champion crown for the second time in succession, with four more world championships to follow. 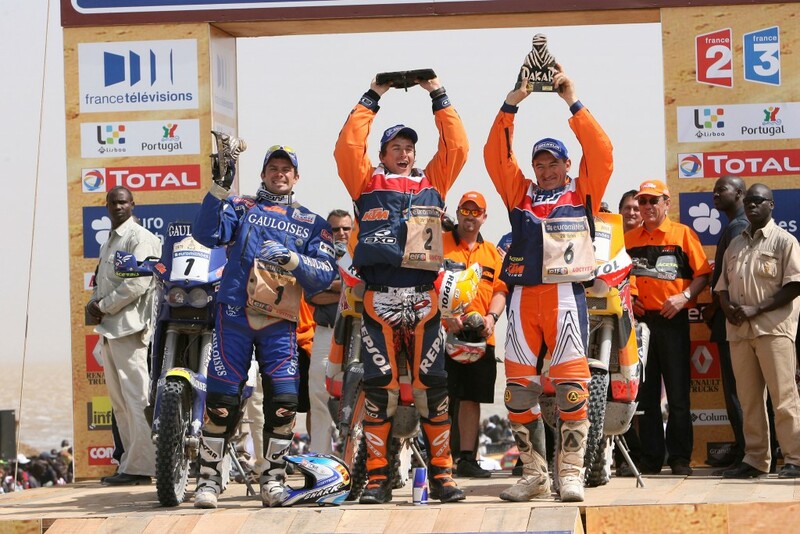 Marc Coma and Cyril Despres also totally dominated the Dakar Rally in subsequent years. No other rider was able to win the race until Despres switched to cars and Coma pulled out of active motorsport in the summer of 2015. 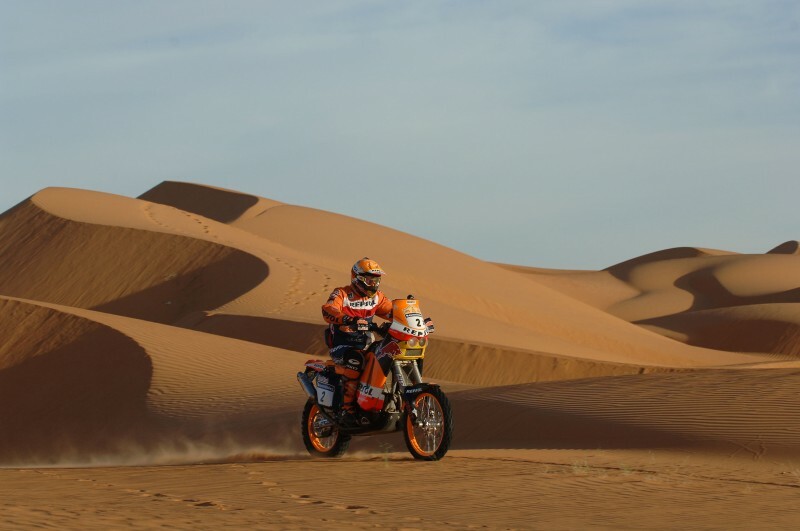 At the end of this era, Coma and Despres each had five wins on their KTM Rally bikes, and were among the most successful riders ever on two wheels at Dakar. Of course, those following in their footsteps face a colossal task, but with the young rider generation KTM had several irons in the fire. 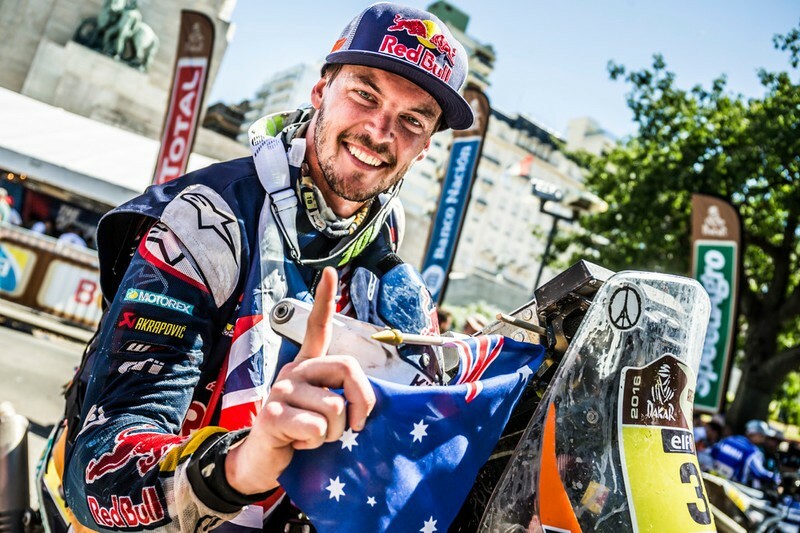 After 13 stages and more than 9,000 kilometers the previous year´s third Toby Price wrapped up the victory after a smart race and gave KTM its 15th consecutive victory at the Dakar. 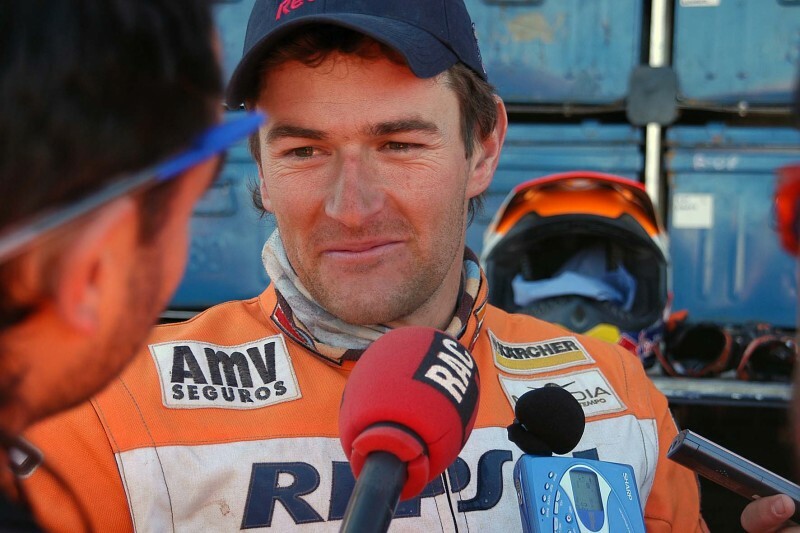 But Marc Coma is not lost to the Dakar Rally. He has taken on the role of Sporting Director for Dakar organizer ASO, starting with the current race. In other variants of motorcycle sport, as in rallying, you needed to look no further than KTM to finish on the winners’ podium in 2006. All three Enduro World Champions, Ivan Cervantes, Samuli Aro and David Knight, sat astride orange world-beaters from Mattighofen, Yves Demaria secured the Motocross World Championship in the MX3 class, and Bernd Hiemer became Supermoto World Champion. In road racing, Mika Kallio was able to defend his world championship runners-up position in the 125 cc class. But KTM’s winning habit did not just extend to sporting prowess, it was evident in business as well. 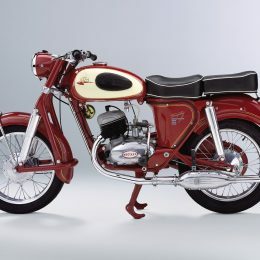 The financial year that began in 2006 was to produce two significant records: More than 90,000 motorcycles were produced, and sales passed the magic 500 million euro mark for the first time.